All enforcement is based on the Traffic Bylaw 5590. What happens if I get too many parking tickets? The City's parking bylaws are in place for a reason and they play a major role in making Edmonton a great place to live. By repeatedly parking illegally, you monopolize public space that should belong to everyone and – if you park in an emergency lane, wheelchair accessible stall, or too close to an intersection – you can even put other people in danger. That is why the City has a "three strike" rule. If you have received two tickets for the same violation in the same area, your vehicle will automatically be towed if there is a third violation. If you drive an out-of-province vehicle, warnings count towards your third strike. Submit your bylaw ticket payment online 24/7. Voluntary payment of a parking ticket must be made on the specified due date. A final notice is mailed to the vehicle owner if payment is not received beforehand. If a ticket is still unpaid, a violation ticket is issued to the vehicle owner informing that a scheduled court appearance is required. Failing to appear may result in a conviction in absence. Additional penalties and/or denial of motor vehicle services may be put into effect until all fines and penalties are paid. How do I make an inquiry about a ticket? How do I make a complaint about an illegally parked vehicle? 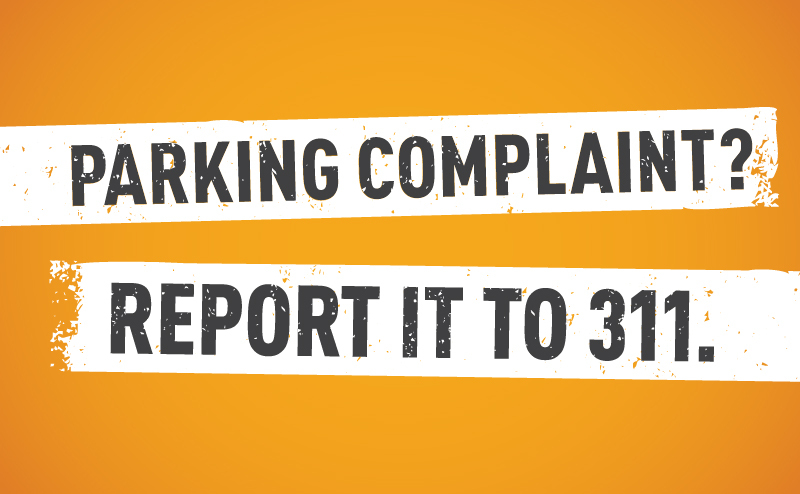 Citizens can now report parking complaints directly to 311 using the Edmonton 311 App, or by calling 311. Can I file a complaint for a vehicle parked on my front street? No, unless the vehicle is abandoned or there are parking restrictions identified by a traffic control device, such as a sign. While you own your home, the streets are a shared resource for all Edmontonians. That means everyone has a right to park on City-owned streets, even if the street is located in front of your house. A vehicle is considered abandoned when parked on public property or a city street for longer than 72 consecutive hours. While this includes vehicles that are inoperable or have invalid licence plates, it also includes registered vehicles that are left unattended, as enforcement officers cannot enter one to confirm the vehicle’s registration. 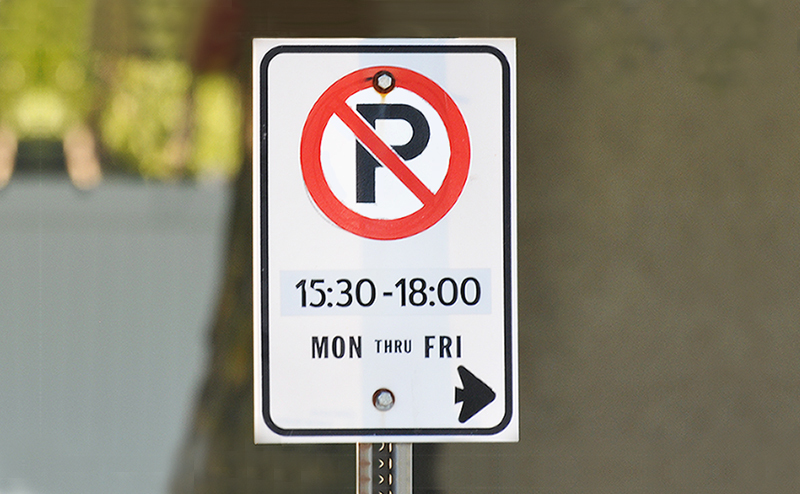 We ask citizens to park their vehicle(s) on their private driveways or find another suitable parking area if they intend to park longer than 72 hours (for example, if one is planning a trip out of town). City streets are not intended for long term parking. The abandoned vehicle bylaw is intended to remove inoperable derelict vehicles. It is not to be used to settle neighbor disputes, therefore we reserve the right to not attend abandoned vehicle complaints if we determine that a citizen is misusing the complaint for ulterior motives. Please report only if you believe the vehicle is truly abandoned. If you are unsure, please contact 311 and they will help you determine if an identified vehicle can be considered abandoned. What happens after a complaint is filed for an abandoned vehicle? If someone reports a vehicle as abandoned to City of Edmonton parking enforcement officers, a 72 hour warning notice is issued to the vehicle to notify the owner about the complaint. During this time, an officer monitors the vehicle to confirm whether or not it is abandoned. If the vehicle was driven or used within the 72 hour notice, no further action is taken. If it is determined that the vehicle has not moved, a parking citation is issued and the vehicle is towed. This would cost the driver a $50 fine for an abandoned vehicle, towing charges of $120 plus additional storage fees. How do I find out if my vehicle has been towed? Contact the Edmonton Police Services, Police Seized Vehicles Lot at 780-496-8668. How do I make a complaint or commendation about a Parking Enforcement Officer? Please contact 311 and include all details that apply (time, date, tag number, issuer number, concern, summary of the situation). How do I pay tickets online? To pay a ticket online, have the ticket number and your credit card information ready. Only VISA, MasterCard and American Express are accepted. Are there other contact options available?